This is my personal experience as both a Doctor and a patient having a Facelift in Thailand. Everyone knows Cosmetic Surgery can be prohibitively expensive in Australia. A good price point is often foremost on people’s minds, with the Surgeon’s reputation and technical abilities often second. 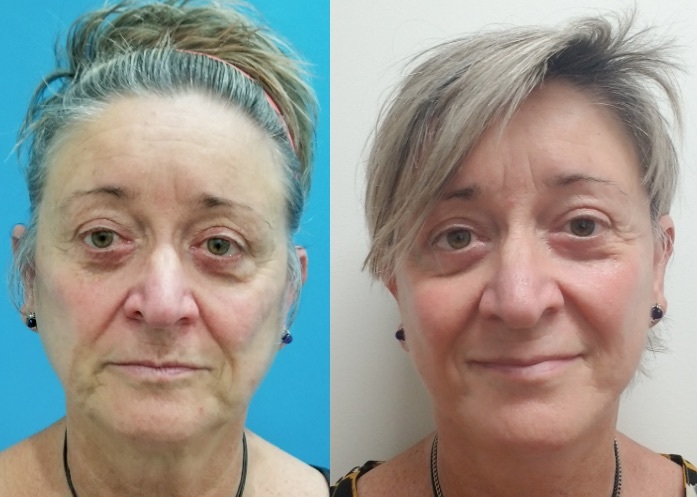 Since turning 50, I have had a few cosmetic procedures performed in Queensland, Australia. 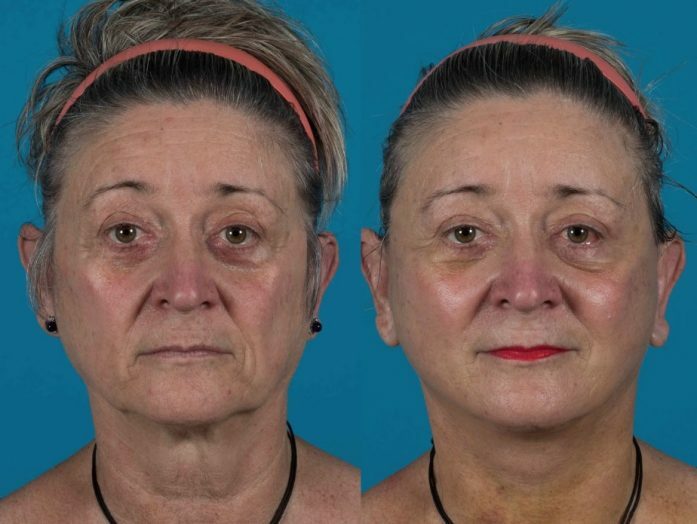 These included upper and lower Blepharoplasty (eyelids) along with minor abdominal Liposuction in 2006 and an upper facelift in 2009. 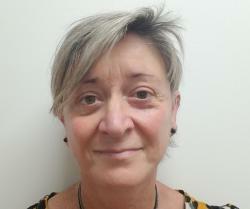 Considering I have been a medical doctor for 40 years, and with these procedures performed by surgical colleagues, my personal experiences [in Australia] were not great. Although, the results of the surgery were generally satisfactory, I felt the whole process left a lot to be desired. The cost of the procedures was exorbitant, the post-op care limited, and there was a noticeable lack of a decent bedside manner offered by both Surgeons. One barely remembered who I was and what operations he had just performed on me two days prior. He even had to refer to his operative notes at my prompting, really? The other observed a Day 3 wound break down from the door of his office treatment room and his post-op advice was shouted out to the nurse who had taken my dressings off, not impressed! 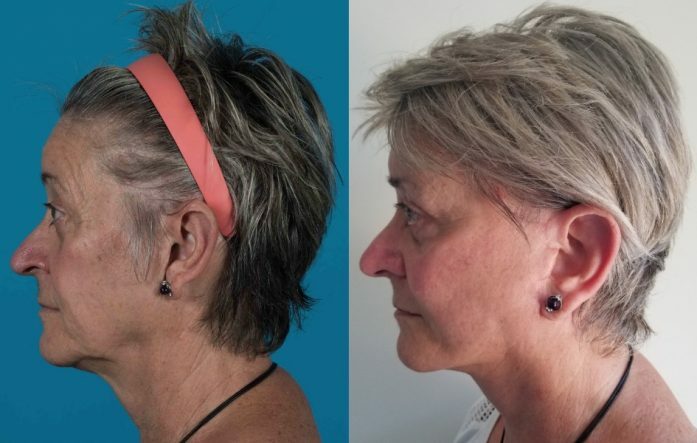 So when I finally decided to have a facelift and neck lift, my desire to repeat the process locally was at an almighty low point of absolutely NIL, plus, cost-wise I had also been quoted ‘mates rates’ of approx. $15,000 in mid 2016, for surgery alone. 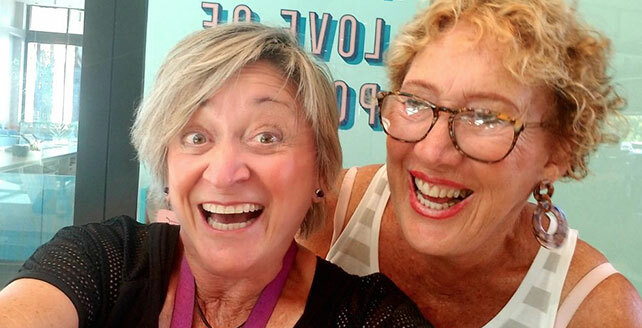 So as an ageing, tired 63 year old menopausal woman in need of a little ‘panel beating’ to lift my general mood and negative self-feelings, I met up with a girlfriend who had undergone a SMAS lower facelift in Thailand four weeks prior. She strongly recommended her surgeon (Dr. Montien Lueprapai) and her early results were astounding. In fact, her whole experience had been very positive. Did I research my Thai Surgeon or the hospital? No. I guess being who and what I was, I was fairly relaxed about having cosmetic surgery abroad. And the mere recommendation of a friend was enough for me. But being an experienced global traveler, I did try to ‘go it alone’ in an attempt to keep the cost down as much as possible. So I did research to have the same op by going directly to her Surgeon at her hospital, the Bumrungrad International Hospital, Bangkok. However, it ended up being too difficult. The slow response of the hospital staff to my emails and the language difference drew out the whole process. Especially when my preferred operation date was not available and further dates had to be negotiated. In fact, the whole thing got beyond frustrating, and I had almost thrown in the towel many points along the way. But then I fell upon CosMediTour through ‘Uncle Google’. Their quoted price was virtually the same as going direct. They used the same Surgeon but at the World Medical Center. And their responses to emails were much faster. All I had to do was book the flights and hey presto, they organised the rest. Simples! It’s now one month after my surgery. From the minute I landed in Bangkok, ‘Team CosMediTour’ took over. They controlled everything whilst I just laid back and went along for the ride. The Thai girls on the ground as Team CosMediTour were great. They were pleasant, polite natured, with good English and very attentive. 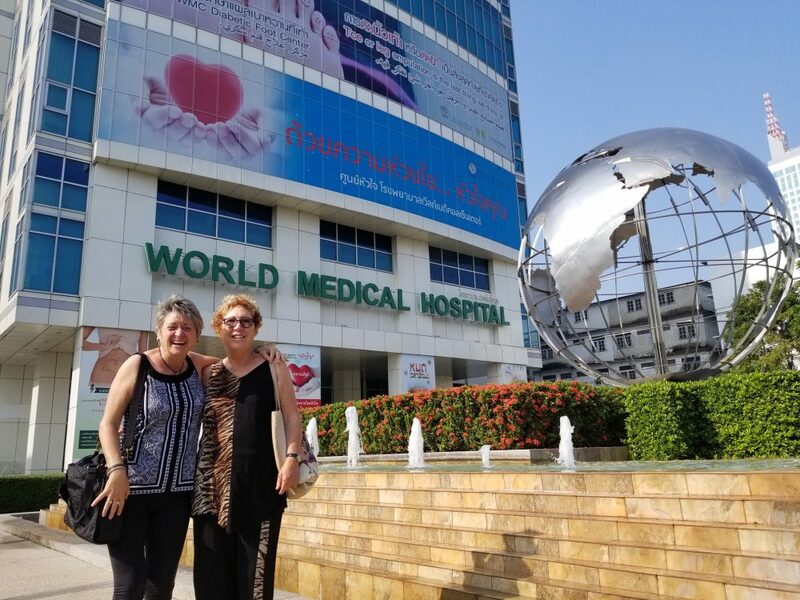 CosMediTour had a Client Liaison in the AETAS Bangkok Hotel reception, a CosMediTour Nurse, who did daily post-op hotel room visits and another in the World Medical Center Hospital lobby. The team Manager was ‘Sugar’, who was my virtual personal assistant. 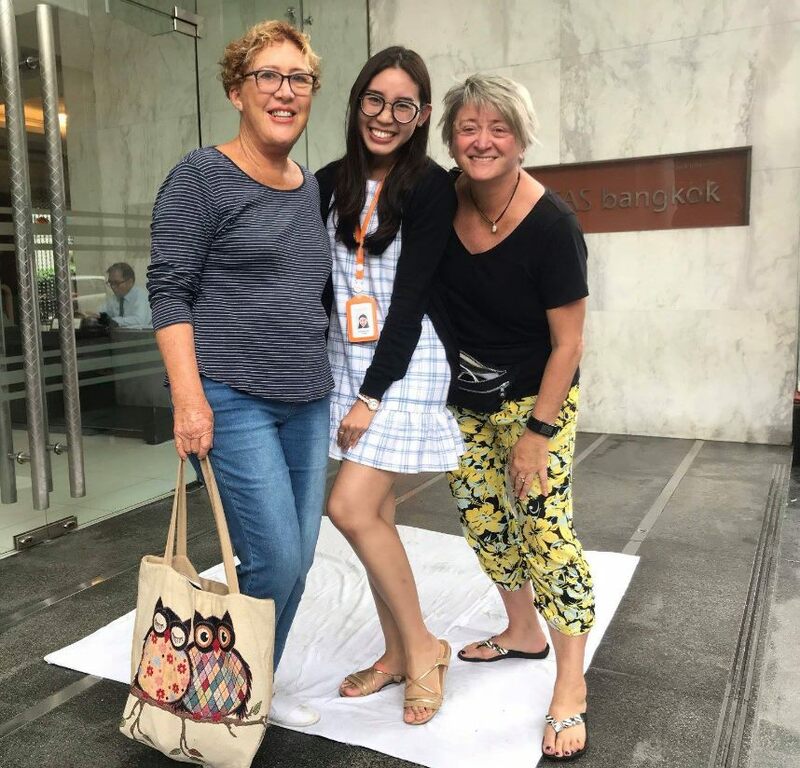 As Thai translator and chief organiser, she attended all my appointments as well as supervised my overnight ward care and discharge, I did incur a few hiccups along the way. A 2.5 hours taxi ride (not the usual 30 minutes) from the airport meant a very late hotel check-in with nearly 24hrs in transit from the Sunshine Coast, Queensland. My 8:00 am pre-op hospital appointment next day was repeatedly changed. I finally met my Surgeon Dr Montien after 2:00 pm, and I was still at the hospital at 8:00 pm having tests. Whilst this could phase some people, having a relatively chilled manner helped. Best not to sweat the stuff you can’t change as it all works out eventually. 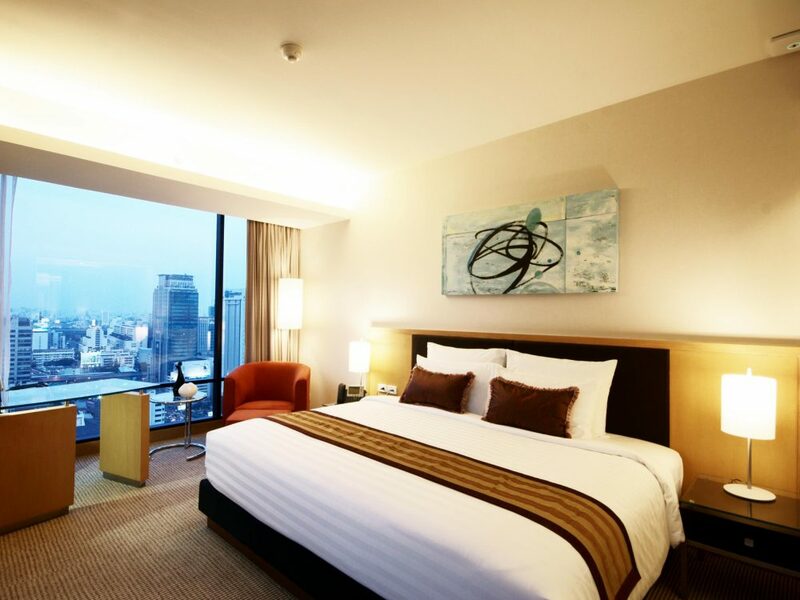 This hotel is a new, contemporary International Hotel set in the city centre. It has access to the BTS Sky Train, with a free Tuk Tuk from the hotel every 15 minutes. If you plan to do any shopping whilst in Thailand, I strongly suggest you do this before surgery. Afterwards, you really shouldn’t go out in the heat and humidity. A 7-11 convenience store was 5 mins from the hotel. The large air-conditioned All Seasons Mall next to the Conrad Hotel was also only 10 mins away. It had a great supermarket to top up on fruit or nibbles for the post-op recovery back at the hotel. My 15th-floor room was upgraded to deluxe. It was large with an en-suite, TV, and very good WiFi. One snag was it only had a kettle, so I had to make sure that I had a source of dried noodles or other food that just needed hot water to cook it. Leaving the room in the first 2-3 days whilst bruised and swollen was a little scary for others! The bar fridge also had no freezer. So I had to request regular ice buckets from hotel staff to keep the ice packs cold. Full breakfasts came with my hotel booking. The on-site restaurant “Moments” was very good. The International and Thai smorgasbord style food was all delicious. I even made up sandwiches or took extra fruit and yoghurt back to the room. No need to order room service or go out in the heat to buy food for other meals. A complimentary massage also came with the deal. This was whatever you wanted it to be depending on your surgery. But probably best used late in your recovery period for more enjoyment. My first appointment with Dr. Montien was the day before surgery. It was a very positive meeting. He was extremely polite, soft-spoken, approachable and had a good command of English. He was also rather conservative in his approach. Reassuringly he did not offer unrealistic surgical expectations. I found this particularly very comforting, especially with my medical background. I certainly didn’t want a Hollywood ‘cowboy’ operating on my face. He was also very informative about what to expect in the early and later post-op period. And no question was too small or trivial. Dr. Montien also personally took my pre- and post-op photos. He uses them to ‘perfect his craft’ as he confessed later. “I always want to improve my surgical technique,” he said. I even remember seeing those pre-op photos hung in the theatre just before I went under the anaesthetic. The World Medical Center is some distance from the hotel, about a 30-45 min drive in traffic. It is modern, pristinely clean and always appeared quiet with a relaxed atmosphere. It not only performs cosmetic procedures, but also had the other usual hospital departments, including an emergency department, radiology, pathology etc. And it also has a dedicated International Medical Services Center catering to thousands of overseas patients from over 100 countries. Obviously I am not the only one tapping into the affordable Thai medical system. Despite sending recent normal routine blood tests to CosMediTour, part of my pre-op workup repeated those tests. They also included a bleeding time, which was rather quaint to watch as it has been obsolete in Australia for more than 20 years. I also had a chest x-ray and because my blood pressure was persistently high that day, an ECG. My BP at home was normal, so perhaps I wasn’t as chilled as I thought I was. But because of it I then had to see a Cardiologist, by then about 7 pm. Aargh! My serum potassium level was 3.7 ( low end of the normal range). But this was deemed too low for the anaesthetist (really?) and so I was given a ‘potassium drink’. This turned out to be a memorable experience – NOT! Try forcing down 30 mls of something that looks and tastes like green liquid detergent. Not nice! My operation time was 8:00 am, so I was driven to the hospital at 5:00 am for admission to the Surgical Ward. My private room was very large with a kitchenette, en-suite, sofa bed and two wall mounted televisions with Fox TV channels. Go figure. I showered and changed into a theatre gown and was taken on my bed into the theatre. I briefly met my Anaesthetist, a young female Thai Doctor. Shortly after, I was fast asleep. I awoke in my room around 6:30pm. My head was encased in a firm, 1-inch thick, wool compression dressing. I had no pain at any time and my face was more numb than anything else and I couldn’t hear because of the thick dressing. My deafness was made worse later by one nurse applying large blue gel ice packs over my thick wool dressing. Seriously? I laughed at what good THAT was going to do for my face. My dinner was waiting for me although cold by this time. The post-op food menu was both International and Thai. I signed up for the Thai menu which was very nice, although I never really knew what I was eating. Regular nursing checks went through the night. They were very attentive although English was poor. But it was fairly easy to get pain relief, a drink, help to the bathroom and so on. However, I don’t remember much of that evening as I drifted in and out of sleep from the anaesthetic. Now feeling more awake and with the help of Sugar, I was discharged around noon. I had a large packet of medication, my ice packs and a white compression bandage I bought for use back at the hotel. After bedding down in the cool air-con of my room I relaxed, sleeping on and off the rest of the day. My post-op meds included 7 days of broad spectrum antibiotics, a morning anti-inflammatory tablet, some sleeping tablets and painkillers as needed. Chlorhexidine shampoo was to be used to gently wash my hair in the next week (be warned – DON’T get this stuff in your eyes as it stings like crazy!) I added 6 hourly Arnica tablets to my meds as well as used Arnica cream liberally to hopefully minimise swelling and bruising. I had pre-stocked the bar fridge with small yoghurt pots and packets of noodles to be used with hot water. Sachets of my favourite chai latte and cappuccino were also great to have brought. A 7:00 am pick up took me back to the hospital for my first post-op visit with Dr. Montien. He removed my big head appendage (thank God, now I can hear again!) to inspect his handiwork. Then it was off to another room for a shower and very careful wound and hair wash by a nurse. My slimline, under chin compression bandage, was applied and it was back to the hotel. From now, all I had to manage was my part of the deal. Dr. Montien had done his bit. Stay quiet, rest, no sudden head and neck movement, keep my BP down, and no laughing or too much talking. Now that was going to be hard! Oh, and I also had daily in-room nurse visits. My hotel room became a campground until Day 8. Fast forward through watching lots of semi-recumbent TV, YouTube and Facebook and it was back to the hospital for a final visit with Dr. Montien. He seemed very happy, as was I. After he took more post-op photos for his collection, we said our final goodbyes. I flew out the next day to return to Australia, a very happy camper indeed.